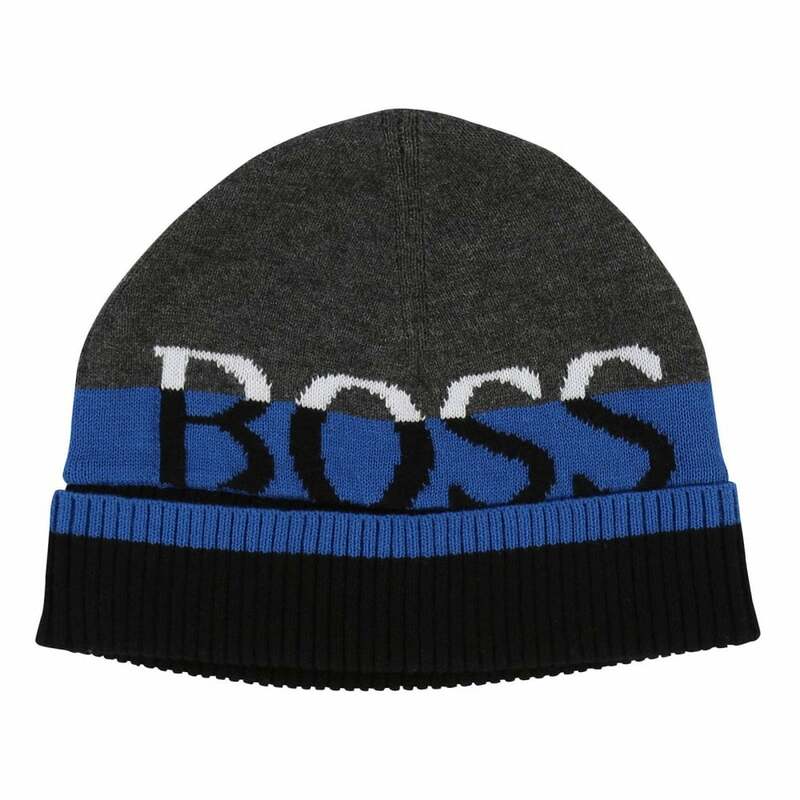 This Boss Cuff Knit Beanie Hat is 100% cotton and has a grey, blue and navy stripe detail. It has a stretchy rib knit cuff for a snug fit. Boss branding appears on the front in black.